Software is my passion. My expertise range from developing large scale enterprise applications to casual games. I love working on creating better ways for people to interact with technology. Today mobile app without easy way to get inside is considered unfriendly. Users love to share the joy of using something nice with their friends and simply love to have to remember just one password. Facebook is a great SSO service and it is considered a "must have" feature. Fortunately it is easy to integrate it. 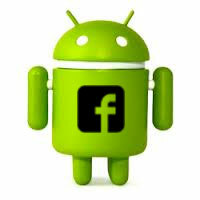 There is Android Facebook SDK created by Facebook itself, but I want to draw your attention to Android Query library. It is a great asset for Android development. It contains all the little helpers that you might need during developing your super awesome apps. And of course you want to focus on getting it awesome, so AndroidQuery is a real thing to help you out. Apart from other things in the package there is a SSO capatibility and Facebook authentication is really easy (either through web, or native FB app). Milos Zikic © 2014 • All rights reserved.